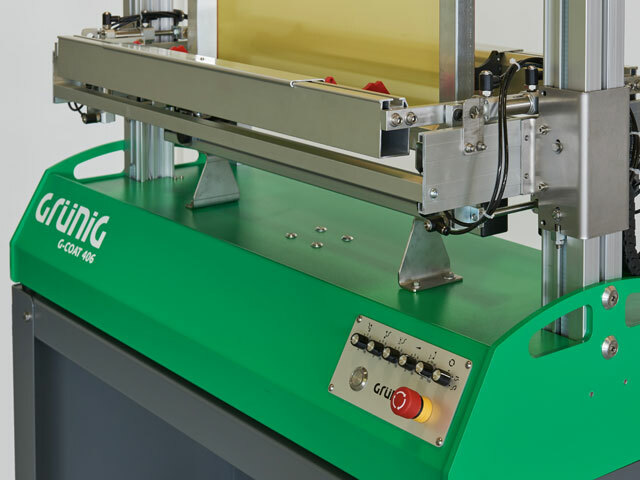 This machine provides for one-sided or double sided simultaneous screen coating. 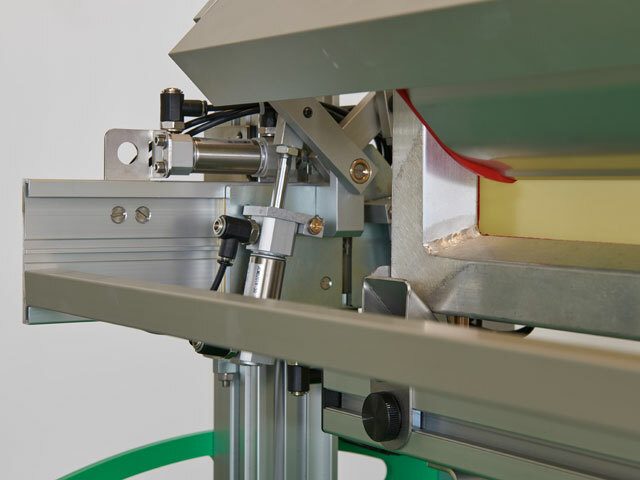 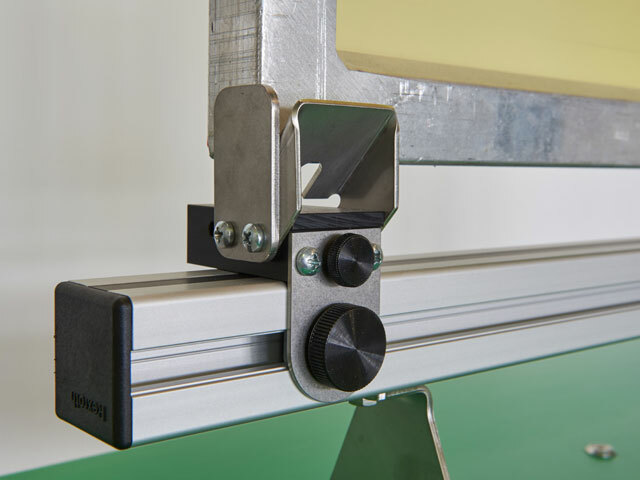 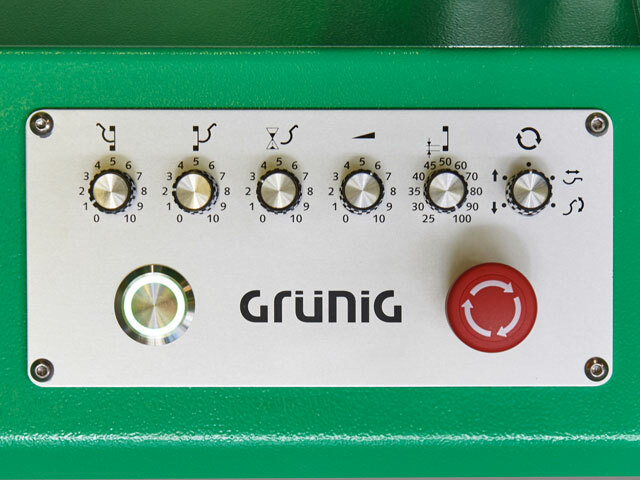 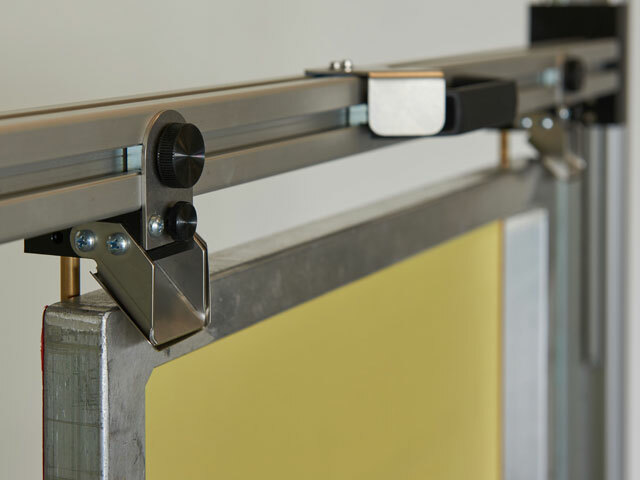 To optimize the coating surface, the frame profile height can be adjusted within a range of 25 and 100 mm via a rotary knob on the control panel. 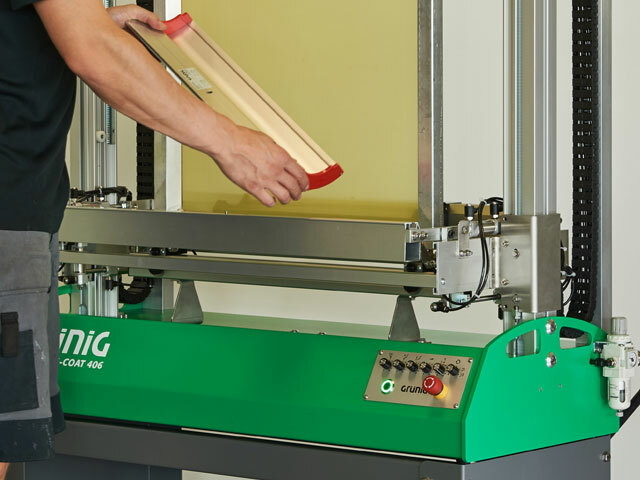 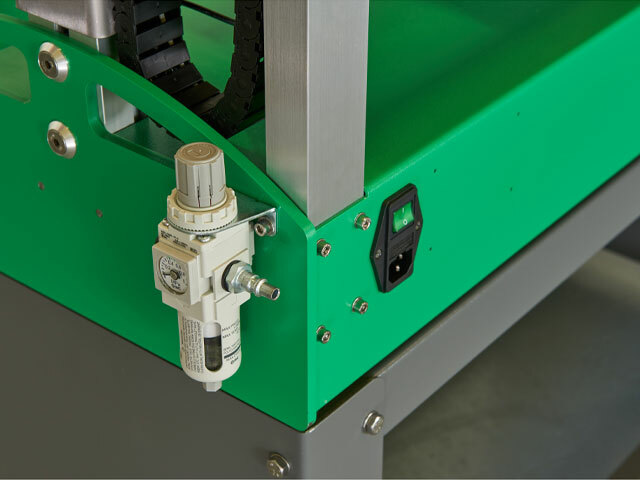 The machine has been constructed as a bench-top model; it can be operated on any work surface that offers sufficient stability. 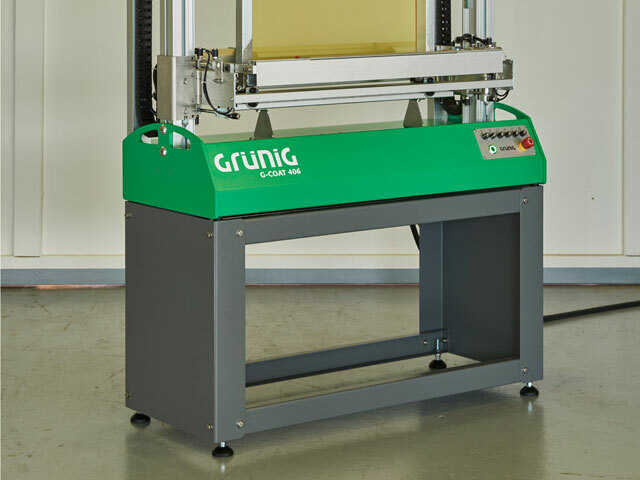 To make sure that the machine can also be set up on the floor, an easy-to-mount sub-construction is available as an option.